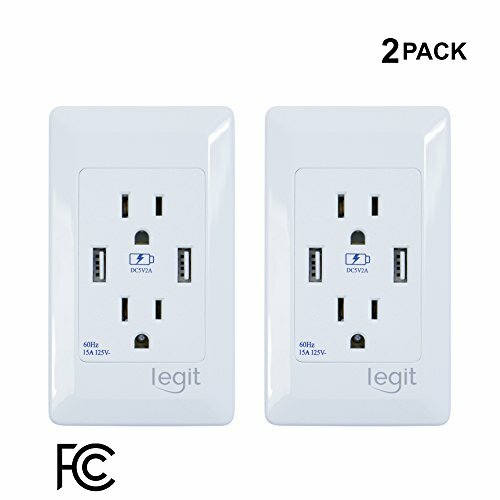 An office A bedroom A kitchen This Legit USB Wall outlet is the LEGIT solution for you. Your walls will look tidy and neat, while giving your devices all the juice they require. All that's required is your USB cable, and you're good to go! Like a traditional receptacle, the installation involves only loosening and reconnecting a few wires. For full details with photos included, please refer to the included user manual.